Provide information about designing a comprehensive post-conviction domestic violence response program for both offenders and victims. Steps and tools to identify and prioritize your response to offender behavior. 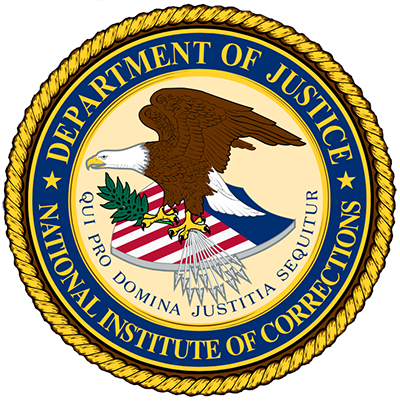 Provide resources specifically tailored to the correctional environment. New Registrant/Victim Intake form - Minnesota DOC. The article identifies selected risk assessment tools to screen offenders into appropriate levels of service (the risk principle) and provides an extensive review of the literature on appropriate targets for change (the need principle). For domestic violence and sexual assault victims, the public benefits programs that support basic economic security are of critical importance. While we know that domestic violence and sexual assault occur across the socio-economic spectrum, there are unique challenges and barriers at the intersection of these forms of violence and economic disadvantage. Significant numbers of low-income women are abused or assaulted, and the violence perpetrated against them can make it nearly impossible to climb out of poverty. Abuse can also result in victims who were not previously considered low-income falling into poverty: violence often undermines victims’ ability to work, have a place to live, and do what is necessary to pursue a more stable life for themselves and their children. Poverty and economic instability can also make it more difficult to cope with the physical, psychological, and financial impacts of domestic violence and sexual assault. In this report, the Washington State Institute for Public Policy has: a) updated its analysis of the national and international literature on domestic violence (DV) treatment; b) reports on other interventions effective at reducing recidivism by DV offenders and criminal offenders in general; and c) surveys other states’ laws regarding DV treatment for offenders. The following framework, arising from the battered women’s movement and supported by research, informs the Battered Women's Justice Project’s approach to understanding and working with offenders to hold them accountable for their violence. The webpage lists useful resources for anyone wanting to promote evidence-based policies in the field of domestic violence. This report by the Maine Commission on Domestic and Sexual Abuse “reviews pretrial and post-conviction use of batterers’ intervention programs, including the length of successful programs and sanctions and incentives to encourage full participation." This report includes the findings of a pilot study into the effectiveness of certified Batterer Intervention Programs (CBIPs) on reducing domestic violence recidivism, using both original quantitative and qualitative data. This report examines a significant, understudied facet of domestic violence in America: the distinctive experiences of African American women and their African American male intimate partners when those partners are transitioning from prison into the community. This website provides: compiled information on sentencing and community supervision practices for domestic violence cases, access to a Working Group to assist with the development of guidelines for community supervision of intimate partner domestic violence offenders, training and technical assistance curriculum based on these practice principles and guidelines, and training to jurisdictional teams willing to implement the guidelines, to enhance their supervision of intimate partner domestic violence offenders. In June 2012 the Nova Scotia Department of Justice launched the Domestic Violence Court Pilot Project in Sydney. The project allocated a special court with dedicated staff to provide intervention and pre-sentence treatment for individuals who plead guilty to domestic violence related offences. This evaluation report assesses the implementation process and whether the outcomes were achieved. It also provides baseline data describing the operation of the pilot project. This website provides research on domestic violence courts in the form of articles, interviews, publications, and videos. This webpage features an interactive map with domestic violence projects participating in the U.S. DOJ Justice for Families Program. Description of the New York State Domestic Violence Survivors Justice Act, who is eligible, and why it is important. "All governments should be very concerned about domestic violence against Native women. Tribal governments across the United States are creating programs to improve response to violent crime. As sovereign governments, tribes can assert jurisdiction in criminal and civil actions involving assaults against Native women … As sovereign governments, many tribes have asserted concurrent or exclusive criminal and/or civil jurisdiction in domestic violence cases. A key piece of responding to domestic violence is to draft or revise tribal domestic violence laws. This resource guide was developed to provide a starting point for drafting or revising tribal laws on domestic violence. It is written with a philosophy that tribal laws should reflect tribal values. In addition, writing a tribal law usually requires careful consideration of how state and/or federal laws might apply in the community. This resource guide includes examples from a variety of tribal codes and discussion questions that are designed to help tribal community members decide on the best laws for your community" (p. 1). Resources are organized into the following sections: general provisions; jurisdiction—criminal or civil; criminal domestic violence statutes—defining domestic violence, role of law enforcement, role of tribal prosecutors, role of courts, evidence, victims' rights in criminal proceedings, and sanctions; protective orders—developing civil protective orders, violating protective orders, and full faith and credit; family law and child custody; and education and batterer intervention. The Domestic Violence and Housing Technical Assistance Consortium aims to improve policies, identify promising practices, and strengthen collaborations necessary to improve housing options for survivors of domestic violence and their children in order to enhance safety, stability, and well-being. An online network focused on violence against women and other forms of gender-based violence. The website provides an accessible digital library of tools that expands capacity and advance efforts to end gender-based violence and intersecting issues. The NRCDV works collaboratively to improve community response to domestic violence and, ultimately, prevent its occurrence. The Center provides technical assistance, training and resource development. This webpage provides an interactive map and listing of domestic violence and sexual assault coalitions. The Power and Control diagram is a particularly helpful tool in understanding the overall pattern of abusive and violent behaviors, which are used by a batterer to establish and maintain control over his partner. Developed to present law enforcement and partners with information to strengthen the response to victims of domestic violence. This website from the Center on Drug and Alcohol Research at the University of Kentucky features the Stalking and Harassment Assessment & Risk Profile (SHARP) tool. This website provides easy access to local domestic violence shelters, along with resources on the topic.